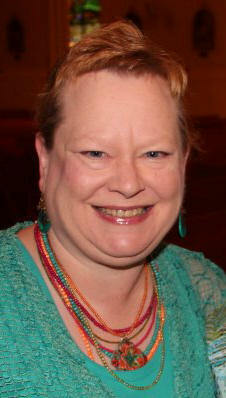 I am Jan Lill Worms, a Bookbinding Master and a Certified Zentangle ® Teacher. I have more than 400 hours of “at the bench” bookbinding training and I am a graduate of Hollander’s School of Bookbinding and Paper Arts in Ann Arbor, Michigan. I am privileged to have studied with some of the finest hand bookbinders of this generation, including Monique Lallier, Julia Miller, Hedi Kyle, Chela Metzger, Pamela Spitzmueller, Anna Embree, Barbara Korbel, Richard Horton, and Tom & Cindy Hollander. Although Hollander’s school closed in June, 2013, their shop continues to offer the best and finest selection of bookbinding supplies and decorative paper. I am so very thankful to have had the opportunity to study at Hollander’s. During my time there I grew to love Ann Arbor and remain ever grateful to Tom and Cindy for truly changing my life through the wonderful workshops offered at their school. And then there is the bookbinder who started it all, Angela Finet. In September 2007 I took two bookbinding workshops with Angela at Prairie Art Stamps in Springfield, Illinois, and found my passion . . . bookbinding! I see Angela all too infrequently, but always remind her that she “started it” for me. Angela owns a delightful shop in Reston, Virginia, a DC suburb. At “A Happy Stamper” you’ll find all the latest and best stamp and paper craft items and a full schedule of workshops. You’ll find her website under my favorite links along with a link to Prairie Arts where I frequently teach. Prairie Arts is also a wonderful place for the very best rubber stamp and mixed media items of all kinds. In October 2010 I traveled to Whitinsville, Massachusetts to become a Certified Zentangle teacher. I was in the fourth group trained by Maria Thomas and Rick Roberts, creators of this gorgeous art form. I love to bind books. I really love to teach. On my blog, you’ll learn about my workshops, both past and upcoming. I welcome inquires for book repair, Bible repair, custom journals and photo albums, and workshops. I welcome requests to teach and am willing to travel. My bookbinding studio is in my home in a small Southern Illinois town about 25 miles east of Saint Louis, Missouri. I hope that you enjoy my blog. Please browse my posts, contact me with any questions and I certainly welcome your comments! I promise to reply to your comments and I would be honored to have you follow me on this blog.